Cover your business from every angle with @Kevin Dunlap noticed how he was able to integrate his experience in various industries and areas as well as the self-development tools he had learned along the way to really provide his clients with a rich guidance and support and look at their businesses and ideas from every angle. It really reinforced the importance of not doing it alone. Watch on YouTube or listen on ITunes. 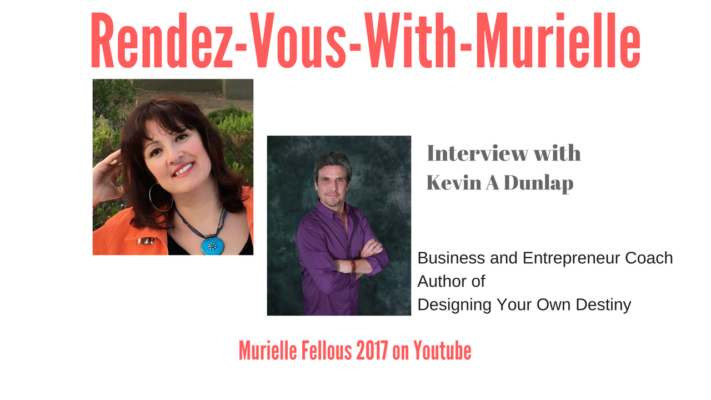 It was a great pleasure to be on Murielle's show. She is a wonderful host and deals a lot with women and their dating habits with men. Her experiences that she lived herself by constantly picking the wrong kind of guy to date has given her insight to help other women realize the patterns they may be exhibiting and then to consciously change those patterns. She has been doing coaching since 2011. But she’s been advising for many years before that. Murelle has lived in France, Israel, and the US for the past 18 years. She also has some free giveaways to our listeners just visit her website for more information. First is a club and also a monthly video call so you can gain her great knowledge without a financial investment. Topics often include those things that she is seeing where women are struggling the most. The next freebie is 10 Signs That He Is Not the One. This is to avoid the mistakes of going after the wrong man.